Chess on the Beach. The first Space Coast Open (SCO) was held in October 1991 at a hotel about 15 miles south of this year’s Cocoa Beach location, and, you guessed it, on the beach! As the tournament dates bounced from Spring to Fall, searching for its optimal home on the chess calendar, and moved among a variety of venues (all but two oceanfront), some years were missed. Thus, it took a couple of extra years to reach the 25th anniversary and get recognized as a USCF Heritage event. In celebration of this special milestone we boosted the prize fund to a new record of $20,000, ten times bigger than at our inaugural event. We also increased the Brilliancy prize levels and added Senior prizes. As our weekend kicked off we welcomed a record attendance of 222 players. Sofia comes to Cocoa Beach. (The rules, not the Polgar sister!) One thing that can frustrate both organizers and fans is the sometimes overly cautious nature of top players when there is prize money at stake. This was painfully evident at the 2017 tournament, when several top matchups were drawn in less than a dozen moves. Since we only broadcast a few of the top boards, this made for rather disappointing viewing. To encourage more fighting chess in the top section, for the 25th SCO we adopted a variant of the Sofia rules, not allowing draw offers prior to move 30. This produced the desired result, as the players delivered fighting games. The Sofia rule may have been a key factor in having an outright winner emerge at the end of the last round. I’ll get back to that in a moment. Big Guns in the Master Section. 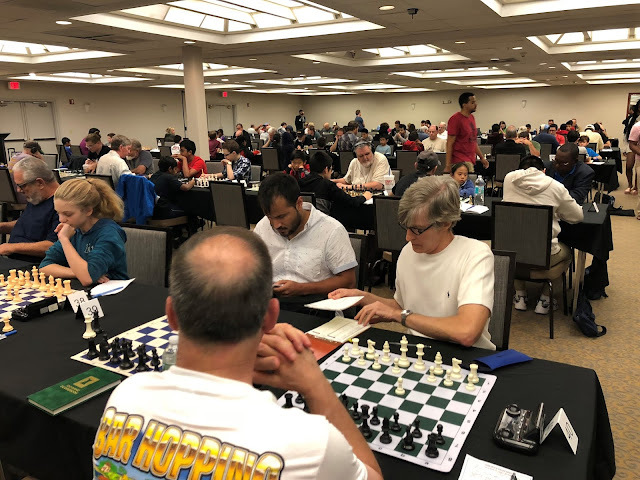 The Master section was packed with strong players, including 4 Grandmasters, 2 International Masters, 4 FIDE masters, and another dozen USCF masters and senior masters. A couple of months before the event, I was contacted by Alexander Hart on behalf of no less a player than the Russian GM Alexey Dreev (2750), who has been among the top players in the world for more than 2 decades. “Would [we] be interested in arranging to have him do a simul?” Yes, of course! Ultimately, the extra demands of contesting a simul during a short tournament led GM Dreev to decide to focus on the tournament and forego the simul. So, the smart money would be on GM Dreev as the pre-tournament favorite. Going into the last round the form charts were holding, as the four GMs were tied for first place with 3 ½ points each. GM Dreev had drawn in round 4 versus #2 seed Ruifeng Li (2692) while GMs Fidel Corrales Jimenez (2618) and Hedinn Steingrimsson (2646) of Iceland were paired in round 3, and that game also ended in a draw. The latter two players then won in round 4 vs. former SCO champ Fabio La Rota and local star John Ludwig, respectively, to catch Dreev and Li. So now the pairings were flipped with Dreev playing the White pieces vs. Steingrimsson and Corrales playing White vs. Li. The Corrales – Li game was the first of the two to finish. Another draw, but only after a serious battle where Li slowly built an advantage. There were some brief fireworks, leading to a Rook and opposite colored Bishop endgame that was favorable for Li. However, Li had the opportunity to force a draw by repetition, and he decided not to test Corrales’ defensive skills. Meanwhile, the battle on board one continued, with Dreev falling into a passive position. Steingrimsson kept up the pressure and ultimately converted to score the full point, emerging as the undisputed winner of the 25th SCO. Yes, thanks in part to Sofia insuring against a short “GM draw.” Both last round GM match-ups are presented in the games section with light analysis. Entering the last round, only two players had 3 points and a chance to join the tie for second. But since they were paired, only a decisive result would allow one of them to advance. Vlad Yanovsky (2261) took the White side vs. Cuba’s IM Yunier Leyva Rivera (2492). This game was a real barn burner, starting with Black sacrificing an exchange on move 16 as his King came under heavy fire. Black defended multiple mate threats until White erred, missing key winning lines. Then came the counter-attack, and by time White returned the exchange on move 36, Black’s attack on the dark squares was irresistible, and the game ended a few moves later. Thus, IM Leyva Rivera moved up into a 3-way tie for second with Li and Corrales. 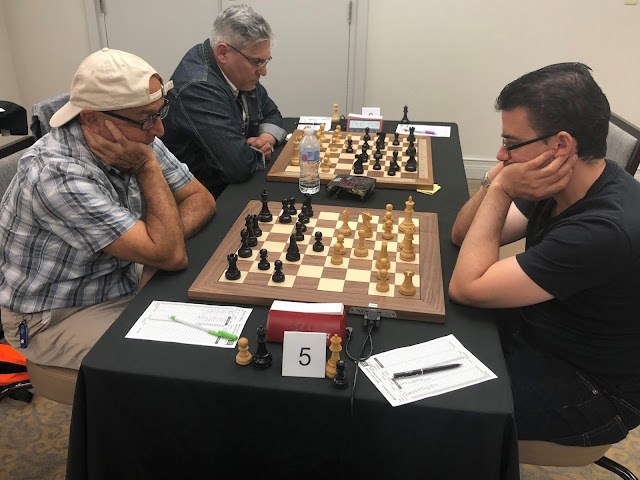 Other big winners in the Master section were FM Cesar Valido and NM Eric Cooke, who both won in the last round to score 3.5 points and share the lucrative Under 2400 prizes. Dario Teodori and Ravindra Wijesundera tied on 3 points for the Under 2200 honors. Youth Dominate the Class Sections. In Class A, after 4 rounds, only Ben Silva had a perfect score, but he was held to a draw by top-seed Frank Castillo. This allowed the talented youngster Xavier Alvarez to catch Silva, with those two tying for first, and Alvarez claiming the trophy on tie-breaks, as well as winning the 3rd Brilliancy Prize. In Class C, no clear leader had emerged after 4 rounds of play, and the three players with 3.5 points had the best chance to win top honors. These were Nate Ziegler, Christopher Juarez, and James Zhang. None could score the full point, so they all ended on 4 points. This was good for a 3-way tie for first place, as no one else could catch them. 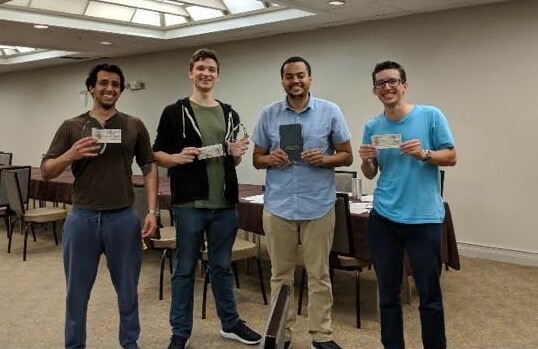 The University of Central Florida (UCF) Chess Club sent several very eager players. While their top player, NM Nick Moore faced the tough competition in the master section and finished just out of the money, the other club members were cleaning up in the lower sections. In Class C, Sammy Wohl only won “lunch money” in the big tie for 4th place, but in Class D, charismatic Karim Essofi ran away with the section, winning clear 1st place. He needed only a draw in the last round since his opponent, Andrew Tiansay, was the only player in a position to pass him with a win. Instead a quick draw was the result. In fact, it was so quick, the TD, Jon Haskel, sent out a search party to track them down and required them to play a new game (another draw). Only one of the players on 3 points, Matthew Cuza, was able to win in the last round to catch Tiansay and join a 2-way tie for 2nd place. Meanwhile, in the U1200 section, another UCF player, Tyler James Clark, got the job done by scoring the only perfect 5-0 in the event to assure his 1st place finish. Chasing Clark was Luke Wu, who took clear second place with 4.5 points, while Martin Sanchez took clear 3rd place with 4 points and also won the Top Senior Trophy. Late Night Blitz. The Space Coast Open Blitz was held on Saturday night. Last year, Blitz specialist FM Corey Acor was edged out of first place by FM Yans Girones Barrios (not playing this year), by a half-point, but they did not face each other due to Acor’s early drawn match. This year, in the main tournament, Acor had withdrawn after two early losses. But he was dominant in the Blitz, starting with his first 3 matches (2 games each), where he won all 6 games to set up a showdown with the only other player sporting a perfect score going into the last round: top seed IM Yunier Leyva Rivera. Acor won with a convincing 2-0 score to take 1st place with a perfect score. This also allowed Pedro Hernandez and Raghav Venkat to catch Leyva Rivera by winning their final matches 2-0, and these 3 players tied for 2nd place. 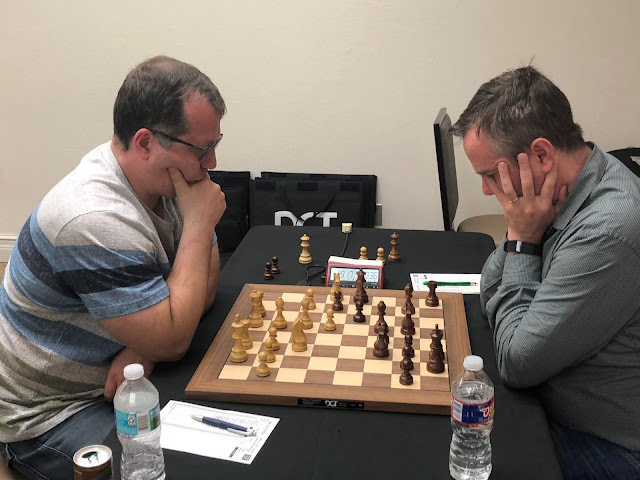 The last round also featured the “battle of the assistant TDs” as Diego Milla faced Steve Vigil, with Milla prevailing to claim the top under 2000 prize. Grandmaster Simultaneous Exhibition. This year the weekend was even more packed than usual with side events. 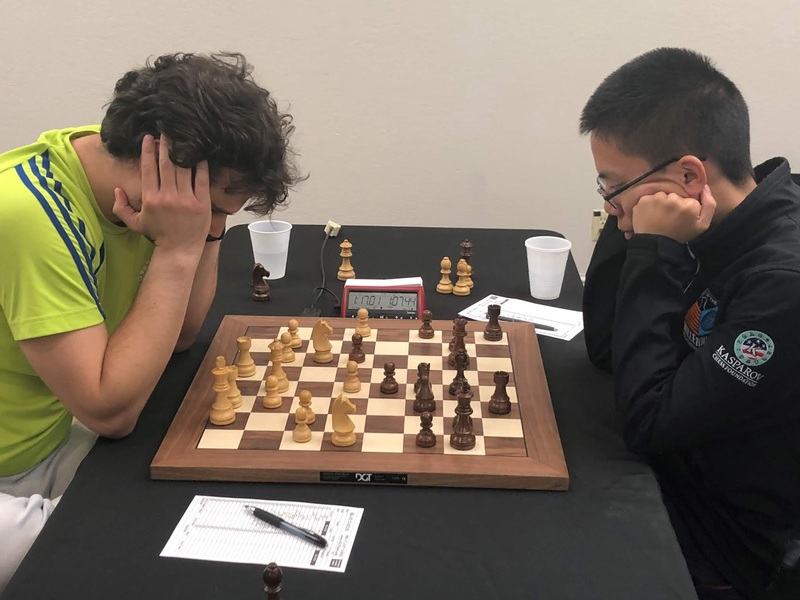 When GM Dreev opted not to give a simul, Ruifeng Li was quickly “volunteered” by his father, Zhenjiang Li, to step into the breach. Ruifeng is the #1 US player age 16, and #14 overall, so he is a huge talent. Some players, such as my friend and former Amateur Team teammate Mike Russell, came to the festival just for the opportunity to play Ruifeng. The simul was scheduled for Friday afternoon, and hence marked the official start of the weekend’s chess activities. 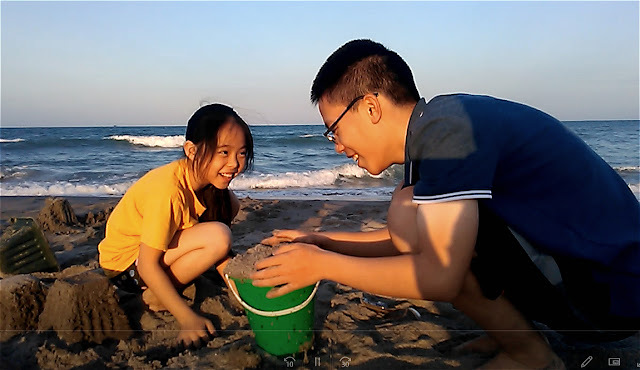 Rachael was on hand to help out her big brother, but as only 13 players signed up for the simul, Ruifeng was up to the task of playing all comers without help, and won all the games. Grandmaster Game Analysis. Ruifeng did double duty supporting our side events. 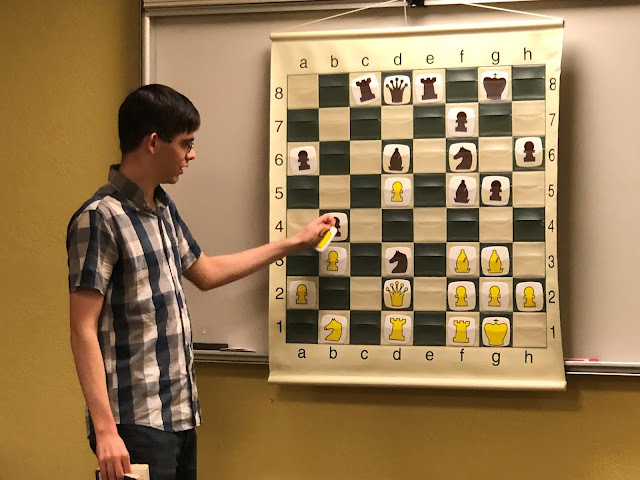 In addition to the simul, he conducted a game clinic after the tournament, spending several hours analyzing the games of anyone who wanted to learn what a top Grandmaster thought about their game. This was a new addition to our chess festival, provided at no cost to the players. The Li family was a pleasure to host at the SCO, and if we are lucky, we will see them back again. Grandmaster Lectures. This year the festival packed in three Grandmaster lectures (counting the lecture by future-Grandmaster John Ludwig). The lectures are free to players and spectators alike. 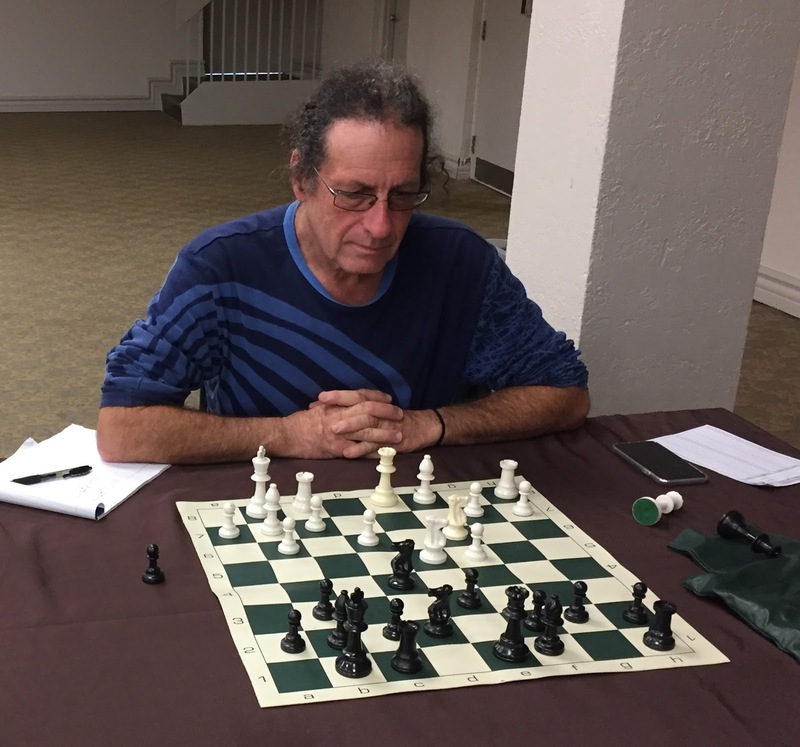 Currently a USCF Senior Master, John has been competing in the SCO since he was a Class B player. John kicked off the lecture series on Saturday morning. This was followed by a lecture by GM Fidel Corrales Jimenez. GM Corrales currently resides in St. Louis where his day job is in software development. He decided to bring his whole family to enjoy the Cocoa Beach area and to visit Sea World. For this, some extra expense money would come in handy! He asked about a second lecture spot, so sure enough, we squeezed in another lecture on Sunday between the 4th and 5th rounds. The Spirit of Wojo - Brilliancy Prizes. GM Alex Wojtkiewicz (affectionately called “Wojo”) played many times in the SCO and was usually part of our lecture series. After his untimely passing, we named our brilliancy prizes in his memory. This year we offered a total of $350 in prizes. IM Javad Maharramzade served as the Brilliancy Prize judge, his 13th consecutive year in this role. While some games are submitted in PGN or harvested from our broadcast, each year I give Javad a thick stack of scoresheets. He very diligently reviews all scoresheets the players turn in, whether marked for brilliancy consideration or not, just so as not to miss a hidden gem. This year two of the prizes went to games in the Master section. NM Carlos Andretta was awarded the 1st prize ($200) and Expert Andy Catlin was awarded second prize of $100. 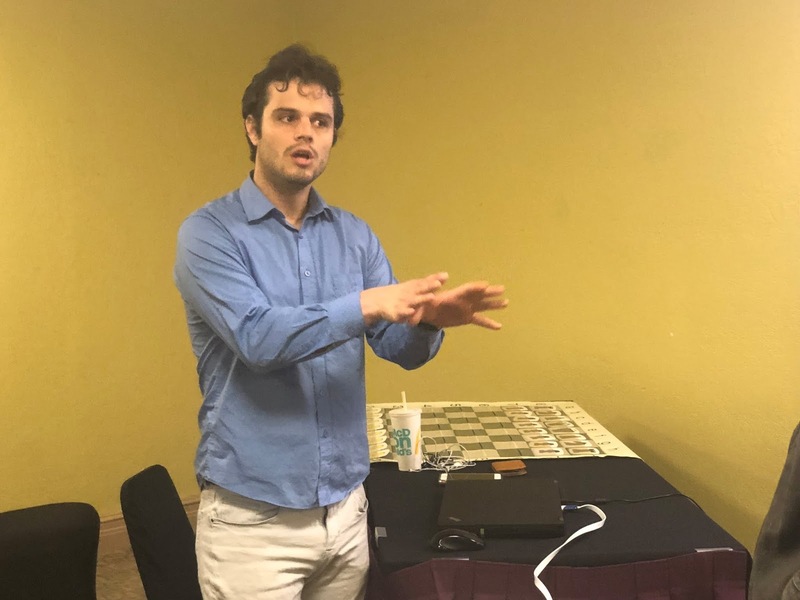 It was only in his search through the games from the class sections that Javad found the 3rd place prize winner ($50), awarded to Class A co-champion Xavier Alvarez, just edging out GM Steingrimsson’s win over GM Dreev, which garnered an honorable mention. See the games section for a selection of games with commentary and analysis. Closing Remarks and Appreciation. Special thanks to the team that brings you the Space Coast Open. Jon Haskel served both as co-Organizer and Chief TD. As Andy Catlin put it, “It's always a pleasure to play in Jon's tournaments, even on my abbreviated schedule.” Jon was assisted by Chief Assistant TD, Steve Vigil, and Assistant TD Diego Milla. 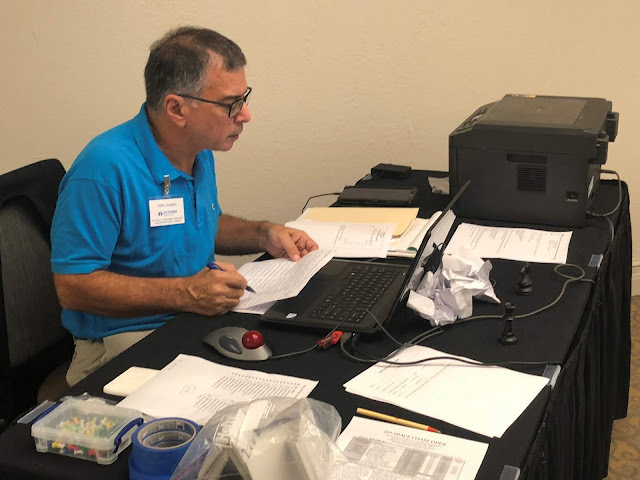 With our long-time book vendor Steve Cernobyl now semi-retired, the reins were ably taken up by our new book and equipment vendor, Orlando Chess & Games, run by Alex Zelner with the assistance of Andrew Slade. The bookstore also hosted T-shirt vendor Wit-T-Shirts. 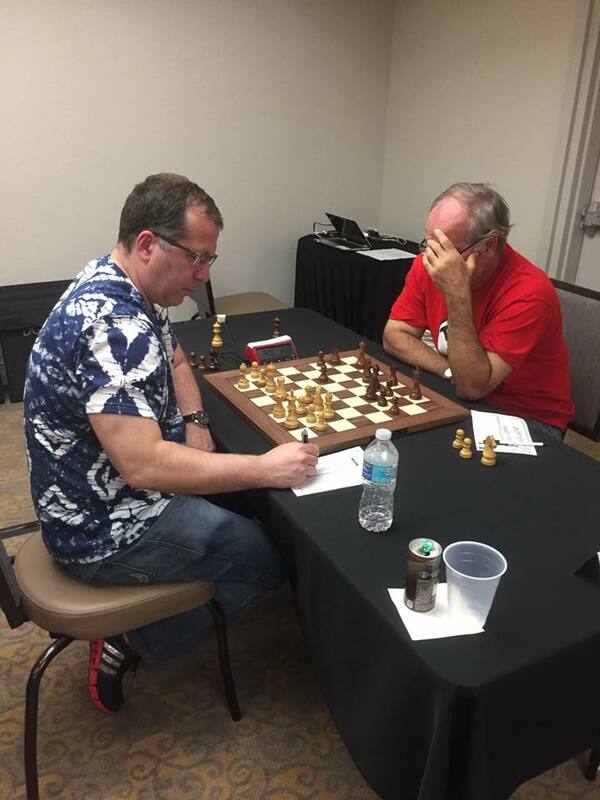 The President of the Space Coast Chess Foundation (SCCF) is Dr. Peter Koretsky. He serves as co-Organizer and the head of sponsor relations, coordinating the fund-raising efforts that support our favorable entry-fee-to-prize ratio, the many side events, and our local scholastics activities. Dr. Koretsky also served as master of ceremonies for GM Li’s simul. Much appreciated behind-the-scenes assistance was also provided by SCCF board member Scott Langford and by Brenna Koretsky and Linda Wicker. The husband-and-wife team of Langford and Wicker were responsible for securing the beautiful crystal trophies awarded to the section winners. Thank you to all. 2017 Spacecoast Chess Foundation. Simple theme. Powered by Blogger.